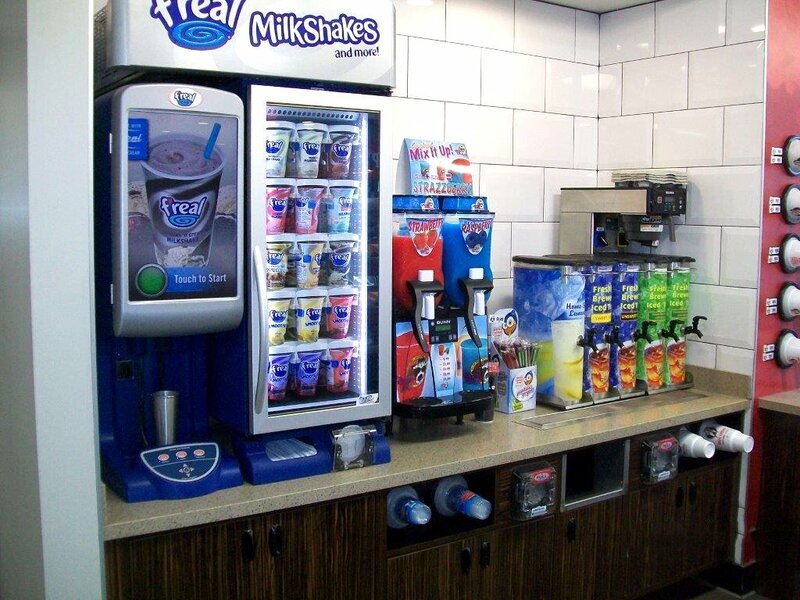 Benee’s Inc offers a wide variety of custom options that are designed to fit each customer’s needs. Our commercial fixtures are very involved in their design. 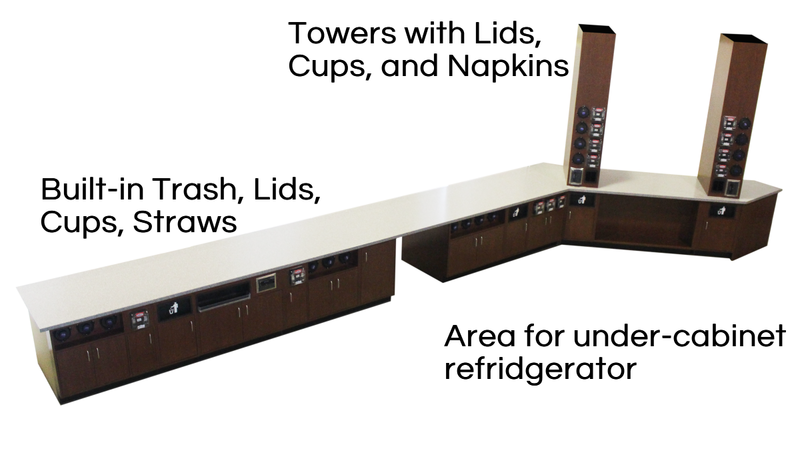 Commercial cabinets are made of various substrates to include melamine, plywood, metal, stainless steel, solid surface, granite, and plastic laminate. 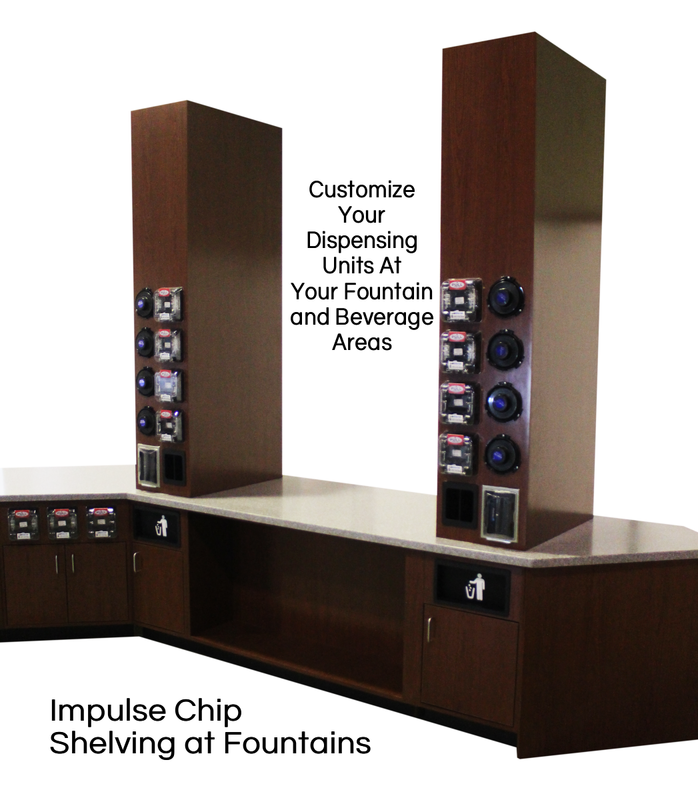 Commercial cabinets inside a convenience store include Fountain Cabinets, Coffee cabinets, coffee islands, frozen beverage bars, and cashier cabinets. Each of these has a specific purpose and a more specific design. 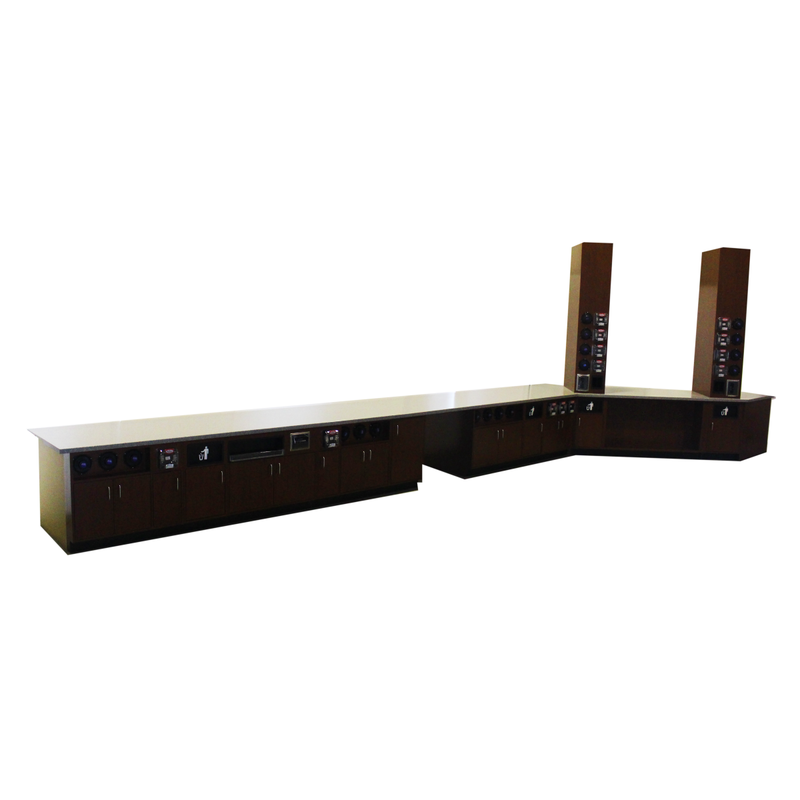 Cabinet Design must attend to the specific need for which the cabinet is to be used for. 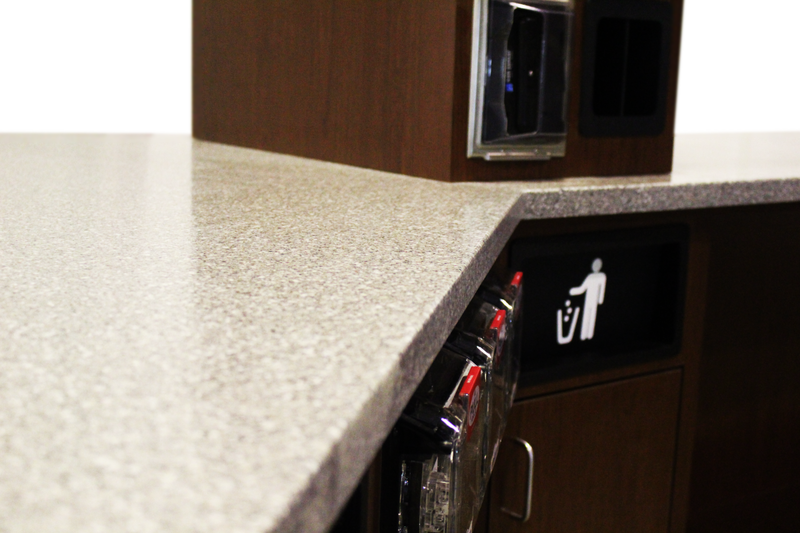 Placement of cup dispensers, napkin dispensers, lids, straws, waste receptacles, and condiment areas are important essentials that must be well thought-out to ensure your sales area remains clean and facilitates your customers’ needs while helping you help them.